If you are interested in finding further resources held in the Essex Sound and Video Archive which relate to the First World War, a sources list is available. We will be hearing a great deal about the First World War over the centenary period, but few things will bring us closer to understanding the reality of events than to hear the experiences, thoughts and authentic voices of people who actually lived through them. To begin this series and to be our first ‘Recording of the Month’ I have chosen one of the oldest recordings held in the Essex Sound and Video Archive. The exact date the recording was made is not known, but it is thought to be around 1905 or 1906. 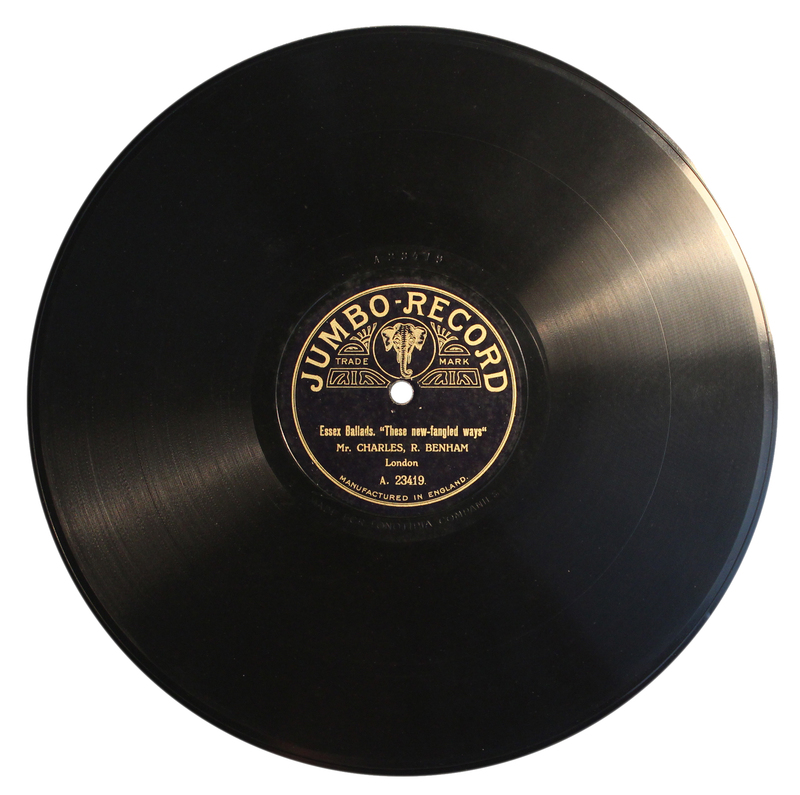 It is taken from one side of a double-sided 78rpm shellac disc on the “Jumbo” label, and consists of a poem written, and in this case spoken, by Charles E. Benham. The poem is subtitled A Ballad of Protest as it satirises the curmudgeonly views of an old country fellow who cannot see the benefits of change and such modern contrivances as parish councils and board schools. Although it relates particularly to the late nineteenth century – which was, indeed, a time of great change – nevertheless, the theme can be seen as more or less universal, reminding us that we all may have a tendency to regard new developments as dangerous, retrograde or, at the very least, unnecessary. You may have to listen to the recording a few times before you are able to discern every word but if you want to cheat, the poem is transcribed on its SoundCloud page. However, you may notice that the author recites some of the verses in a slightly different order than in the published version. And by the way, the word ‘tares’ which appears in the poem is given as “rough grass, weeds” in Edward Gepp’s A Contribution to an Essex Dialect Dictionary (London, 1920) but is defined in James Britten’s Old Country and Farming Words: Gleaned from Agricultural Books (London, 1880) rather more specifically as Vicia Sativa, or the common vetch, which is grown as livestock fodder or as a soil-fertilising plant. Many more examples of Essex dialect and accents can be heard in recordings held in the Essex Sound and Video Archive, and the ERO library contains dialect dictionaries, plays and novels written in dialect, and numerous papers discussing the subject (particularly in the Essex Review). The Essex Sound and Video Archive has a source list (ESVA Sources on dialect) which will help you to identify some good examples of recordings, or you could purchase a copy of our CD called How to Speak Essex: 20th Century Voices from the Essex Sound and Video Archive; please e-mail ero.enquiry@essex.gov.uk or telephone 01245 244644 for more information. 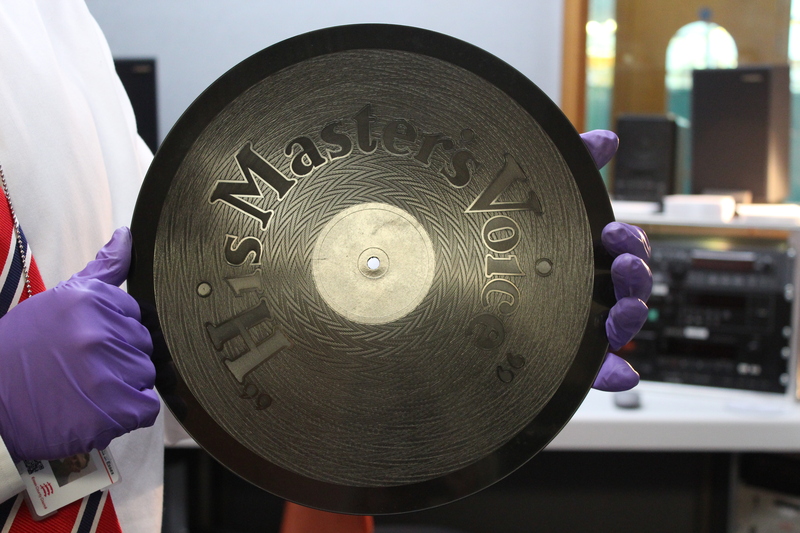 And perhaps he should have added that there is still needed an accessible sound archive in which these treasures can be preserved, and that should not be overlooked either.